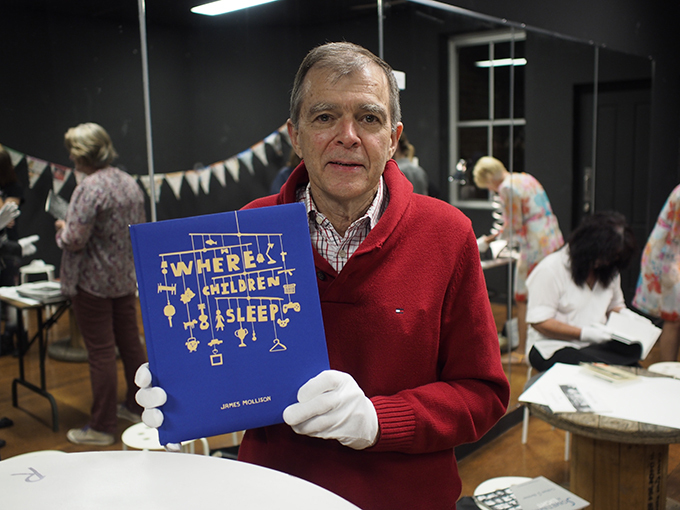 The city of Toowoomba in Queensland Australia celebrated World Photobook Day with a group of around thirty attending a Photo Book Club meeting. The event was held at TheGRID: Hybrid Arts Collective. 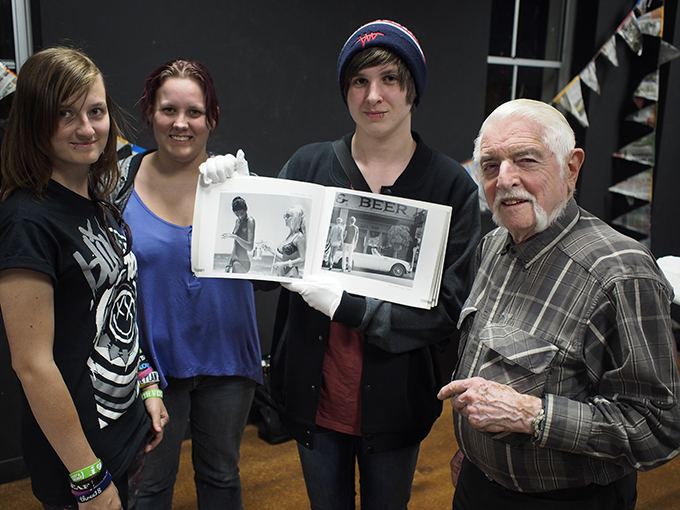 The participants were from a wide range of photographically interested people: some from the local TAFE college, The Toowoomba Photographic Society, professional photographers, artists and academics. 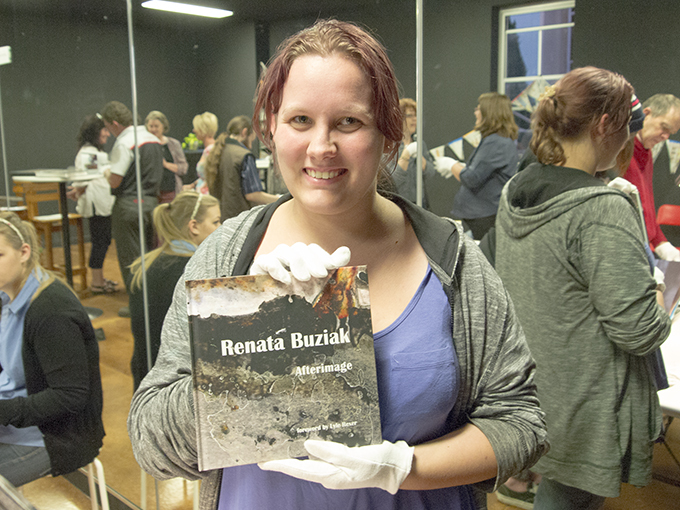 Each brought with them a favourite photobook to share and talk over with others. There were some precious books, some funky contemporary publications, and some of the more traditional coffee table tomes. … I thought I might give you a few details of the family of Anna Atkins, nee Children, which may help to explain the setting in which she produced the world’s first photographic book. My cousins, Elizabeth Parkes and Jean Doggett, with input from other family members, have published an account of our family which includes chapters on the Children family. At their family home, “Ferox Hall”, in Tonbridge, Kent, John George Children, Anna’s father and George Children, her grandfather, had built the largest electric battery the world has ever seen at their private laboratory. They were collaborating with Sir Humphry Davy on electrical experiments. It was because of her family’s experience with battery technology and electrochemistry, and almost certainly with the help of her father, that Anna would have had access to sufficient ferric ammonium citrate to produce cyanotypes. Her publication of “Photographs of British Algae” first appeared in October 1843 – British Algae – Cyanotype Impressions. Fox Talbot, a friend of the family, and from whom Anna had obtained her first camera, published “Pencil of Nature” between 1844 and 1846, in several parts. In 1979 Professor Larry Schaaf brought the attention of the world to the fact that the author of the world’s first photo book, AA, was Anna Atkins. 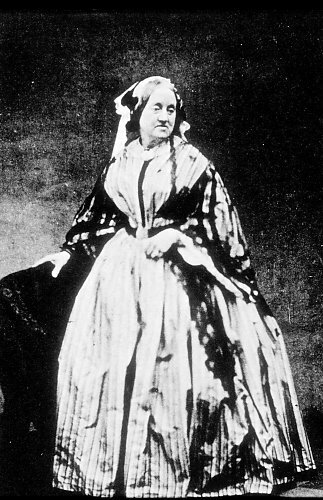 Anna Atkins, nee Children, was born in 1799. Her mother, Hester Anna Children, nee Holwell, was the grand-daughter of Governor Hollwell, one of the survivors of the Black Hole of Calcutta in 1756. Hester never recovered from the birth of Anna and died in 1800. Anna also wrote a biography of her father, partly concealing her authorship under the initials, “AA”, as she did with her “Photographs of British Algae”. Anna and her husband, John Pelly Atkins, had no children of their own. Anna died in 1871 and her husband a year later. Their home, “Halstead Place”‘ has since been demolished. 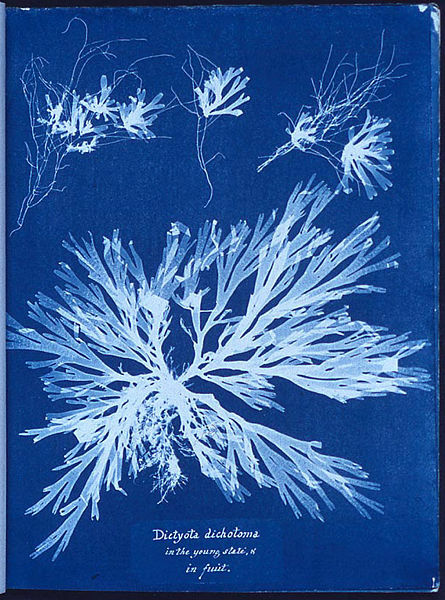 A photogram of Algae, made by Anna Atkins as part of her 1843 book, Photographs of British Algae: Cyanotype Impressions. Courtesy of The New York Public Library http://www.nypl.org. Naturally my favourite photo book (or books, because the Cyanotypes of British Algae by AA run to three volumes) – “Photographs of British Algae – Cyanotype Impressions” by Anna Atkins, my distant cousin. In 1992 I had the great privilege to view copies of the volumes at the Library of the Royal Society in London. 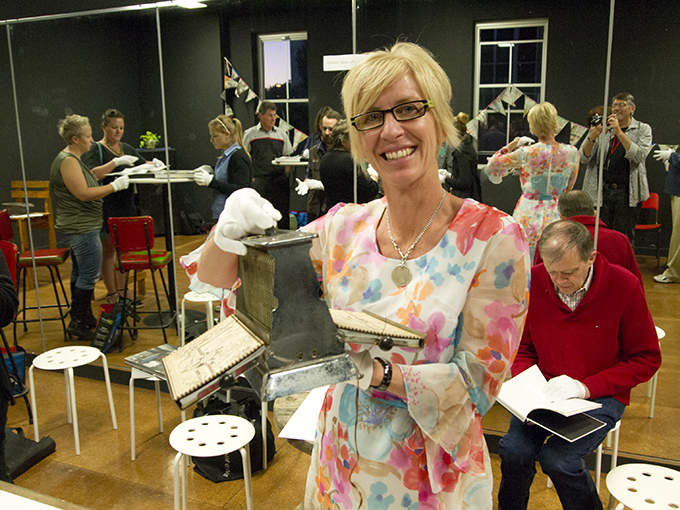 The edition ran from between 10 to 12 copies and a few of the plates from one of the copies are held in the National Gallery of Australia in Canberra. 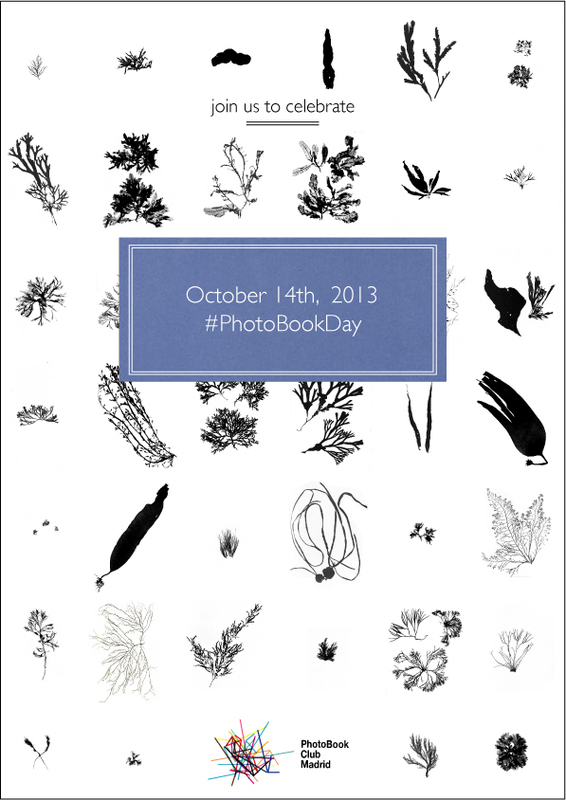 I wish you all well for this celebration of the world’s first photo book by Anna Atkins. 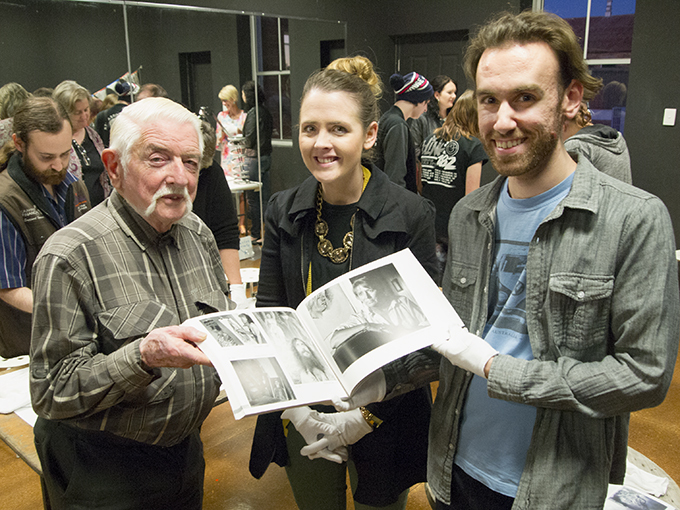 Doug thanked Gael for her insight into the lady whose premier photographic pursuit we celebrate today. 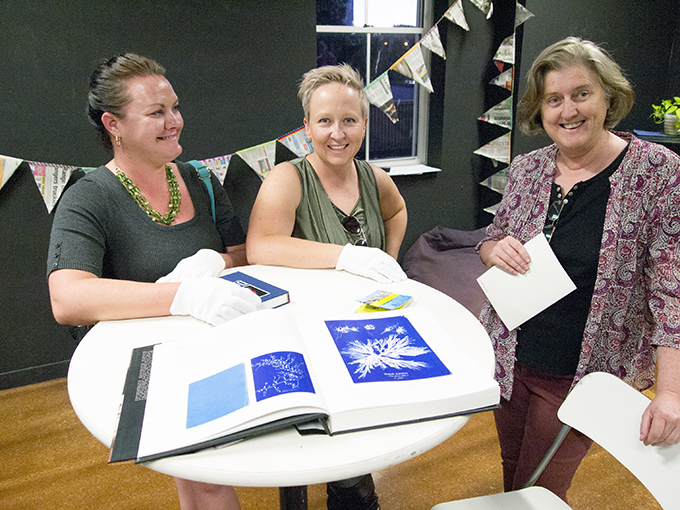 Guests were then invited to continue their looking and talking about books, photography and other worthy matters. 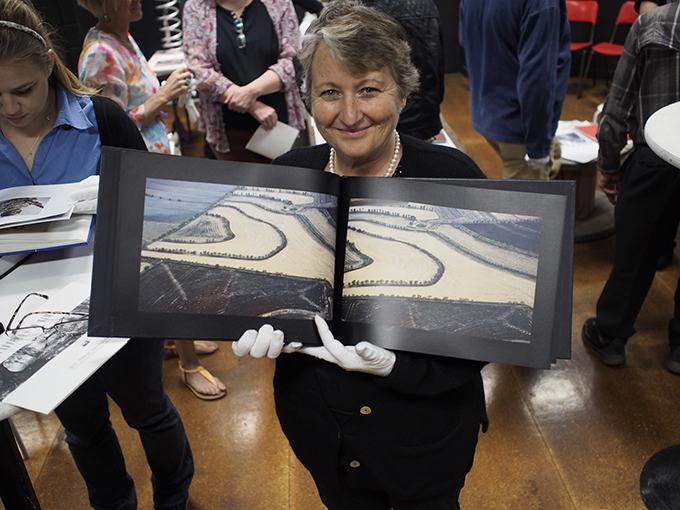 It was a remarkable event and one which will no doubt repeated in the future –– but it will be sooner than the next time we gather, once again, to celebrate WORLD PHOTOBOOK DAY. 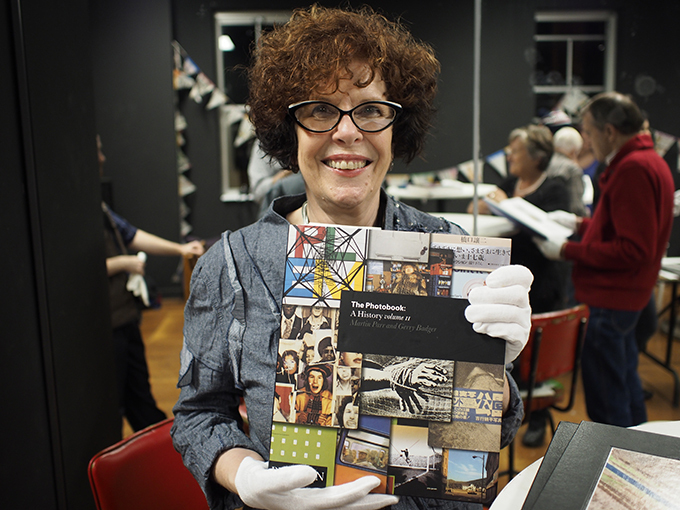 HERE SOME IMAGES OF ATTENDEES AND BOOKS … A detailed list of books presented for viewing and other contributions submitted online will be added to this post in the near future. 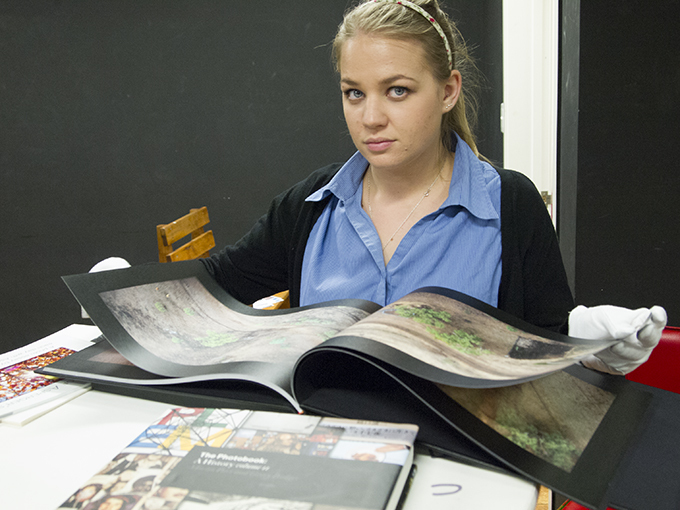 Report and photographs: ©2013 Doug Spowart. Anna Atkins’ story © Gael Phillips. Images of Anna Atkins sourced from Wikipedia and acknowledged appropriately. 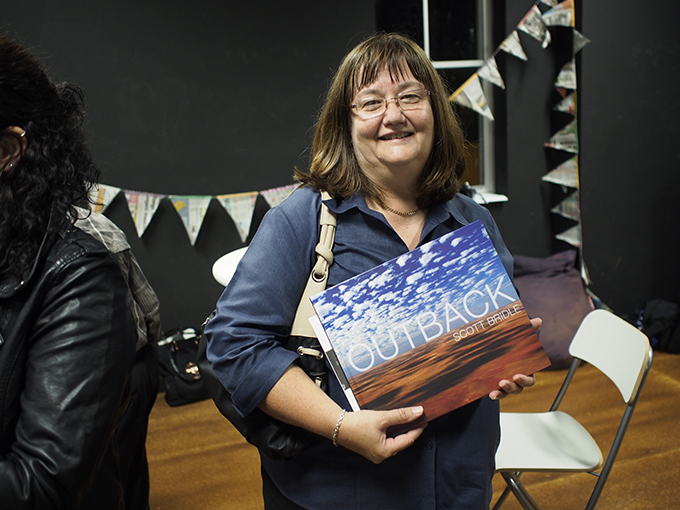 It was a wonderful evening with many people enjoying the world celebration of the Photo Book. Your back ground knowledge was great to hear too Doug & Vicki. Thank you.